Despite the fact that AMD raised the price of its already expensive Radeon R290X to ridiculous levels, the card has had little trouble selling out. According to Fudzilla, it's hard to find the card in stock anywhere in the US. That's not bad going for a graphical powerhouse which was at the pricy end of the high-end market. The reason is little to do with actual graphics card success. Fudzilla blames the cards success on the fact that Litecoin mining that works significantly better on AMD GPUs than on Nvidia's cards. The R290X was only released in October and had a particularly good spec. 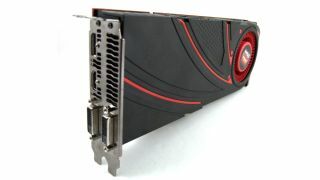 It was launched at US$549 (£328, or AUS$608) plus VAT, which made its rival Nvidia gasp. Nvidia had to cut GTX 780 prices in response and roll out the GTX 780 Ti to compete. In the middle of February, AMD and its partners increased the price to $699, mostly because of the card's success at a lower price and poor availability. That should have killed off a lot of the interest, but apparently not. The card is still unavailable in most places and some vendors who have them want to charge $729. Water-cooled versions go for $799. The R290X's Mantle performance is much better when playing Battlefield 4. This is because Mantle makes the Radeon R9290X faster than DirectX. Radeon R9 R280X Tahiti core based cards are rare in Europe, but in US you can get them but for an overpriced $499. The rarity is because they are the tools of choice for altcoin miners, as they offer a better price/performance ratio than Hawaii cards. Some Radeon R9 R290 non-X cards are available at premium $599 price, a $100 more than the suggested retail price at launch. The shortage of cards might backfire against AMD as high-end gamers might be forced to switch to Nvidia's Geforce GTX 780 TI. These are still pricey but they are available.